What is communication? 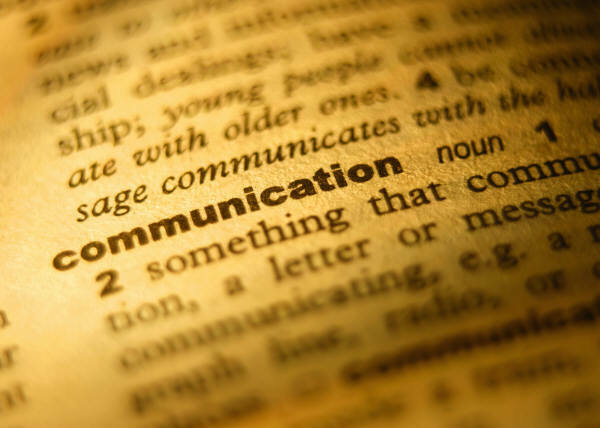 The Hebrew word for communication is aptly called: tikshoret, from the word kesher. Kesher means connection, a mechanism to bring about unification and integration between people. The grief emerged “min,” (from the place of work). And G-d heard their outcry “from” the work. It was from this place of struggle that they called out and from this place of hurting that G-d connected with them to feel their pain. Hashem “heard” their suffering and remembered His Covenant with the Children of Israel. G-d saw the Children of Israel and G-d knew. G-d in all of His Glory came down to the people as it were, to be with them in their agony. This is the first step in building communication: stepping into another’s shoes and trying to feel what they feel. Just as when a baby cries, our heart goes out to them and we do whatever is possible to respond to their discomfort. We stop thinking of ourselves, remove our personal needs and focus on the other’s needs. This way of connecting enhances one’s sense of attachment to another and is the foundation for building trust. When dating, couples often attempt to obtain a reasonable amount of factual information relating to educational and job pursuits, number of siblings and occupations of parents with little understanding of the strong emotional background, priorities, fears, aspirations and attitudes conveyed behind the facts. Empathic listening creates a “safe environment” wherein the listener conveys their desire and ability to project themselves into the inner core of the speaker. This experience of truly listening creates identification with another and can have a transformational life impact on the listener as well. The speaker will experience the feeling of being understood without judgment. The speaker will feel the listener’s genuine interest in their story, as well. This is the heart of communication and building a warm and “safe place” where I can be me! This story clearly illustrates the core skill necessary in communication: having the self-confidence to restrict and diminish myself while allowing the other to take center stage and fully express them self without judgment, interruption and planning my response. This is in effect what Hashem did at creation. According to Kabbalah G-d engaged in “tzimtzum,” contraction as it were, in order to make room from the world and for us. This form of contraction whose goal is to re-unify with us as in the reunion of husband and wife, requires a healthy sense of self-esteem. “Tzimtzum” has a reciprocal effect when indeed it acknowledges the speaker and increases his/her confidence while creating an atmosphere of authenticity and mutual caring. This process is one that requires patience and persistence. Communication is the key to intimacy. It cannot be rushed and the investment is well worth the effort.